Dashbo is the only award winning, cruelty free, vegan friendly UK manufacturer of high quality professional makeup. In 2012 Special fx makeup artist Mike Dargan used his 20 year knowledge of the makeup industry coupled with his 8 year knowledge of materials and chemistry to create The Ultimate Palette range. Launched in late 2013 The Ultimate Palette range combines a broad range of makeup and fx colour systems individually branded with a great price point. Dashbo is a family run business based in the heart of rural lancashire, our unique line of makeup is produced under strict lab conditions and dispensed from our own patented machine technology built in house. 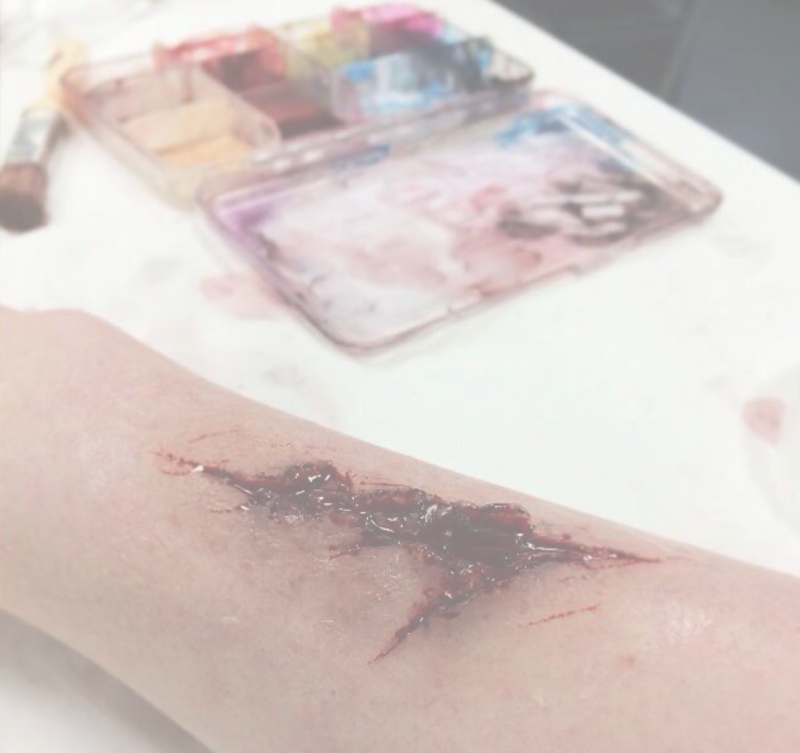 Dashbo supplies scare events, makeup schools, colleges, universities, special fx workshops, Dashbo is also a supplier to the TV & Film industry. As part of our fantastic service we can also supply custom palettes, design your own palettes from our huge range of colours and package them in our custom made enclosures to create your own unique product or personal palette. We have designed custom makeup for the following clients, Red Eye Fx, Nimba Creations, Neills Materials, Mouldlife & Emmy Nominated TV show Vikings.We pride ourselves on our friendly and caring approach to our products and customers, a personal service, and a professional product. Now everyone can afford great quality products when you buy from Dashbo. Dashbo Professional Makeup Cruelty Free & Vegan Friendly.